Apricots are also known as Khoomani, Tser, Chali or Khubani in few Indian languages. One of the first fruits of summer, they are best eaten warm, straight from the tree. Fresh ripe apricots are high in fibre and low in calories. 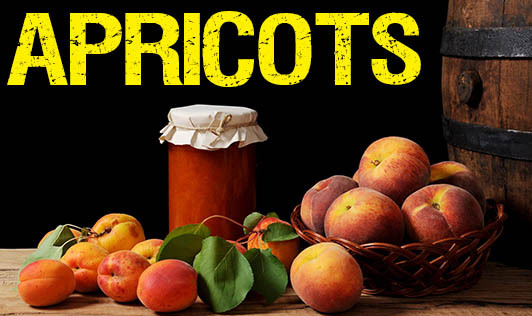 Apricots with an intense golden orange colour are the richest in beta carotene. Beta carotene is one of the antioxidant nutrients that current research indicates may help to prevent degenerative illnesses such as cancer and heart disease. Compared to fresh apricots, dried apricots are more superior. This is because they are calorie and nutrient dense. Drying process increases the concentration of beta carotene, potassium and iron. A handful of dried apricots makes a convenient and healthy snack for all ages that will provide energy. Dried apricots even formed part of the diet of American astronauts during some of their space flights. However, apricot kernels should not be eaten. Apricots canned in natural juice have less than half the amount of beta carotene of fresh or dried apricots, but the juice provides a useful source of vitamin C. Some food companies treat apricots with sulphur dioxide before drying them in order to preserve their rich orange colour. This treatment produces substances that may trigger an asthma attack in susceptible people. Unless dried apricots are known to be sulphite free, they are best avoided by asthmatics.